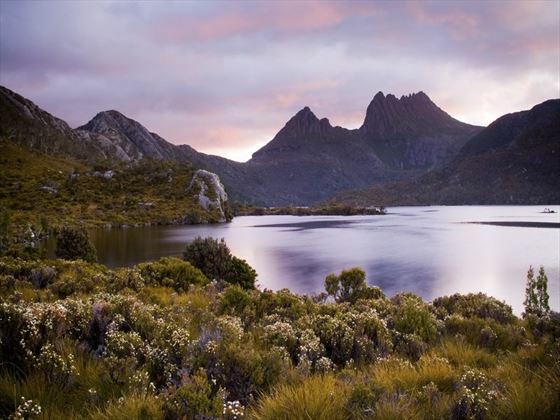 Discover Tasmania’s most beautiful and fascinating attractions on this fantastic 10 day self-drive tour. Starting and ending in Hobart, you’ll explore Tasmania’s must see destinations, from the stunning Franklin Gordon Wild Rivers National Park and Cradle Mountain National Park, to the marvellous Marakoopa Cave and the winding Gordon River, delving into the state’s diverse history and natural beauty (ATS). 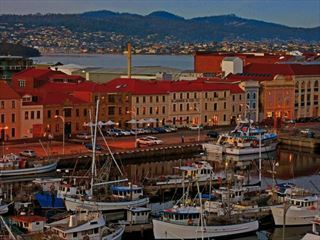 Once you’ve collected your vehicle, you’ll have the whole day to explore Hobart and discover the Constitution Dock, Battery Point, and a Salamanca Palace. Today you will travel through Franklin Gordon Wild Rivers National Park, a forest-clad area with pristine rivers flowing through. 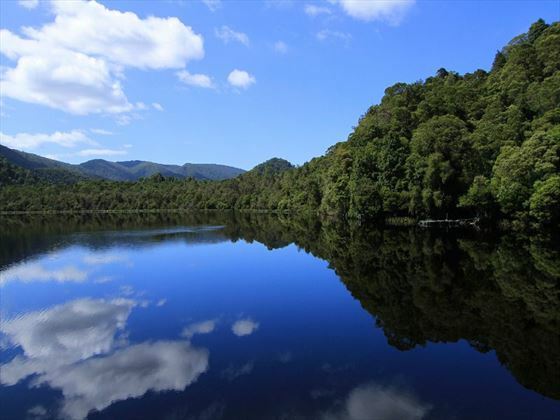 You’ll then stop in Queenstown to explore the city, before continuing on to the quieter town of Strahan, nestled in the Macquarie Harbour. 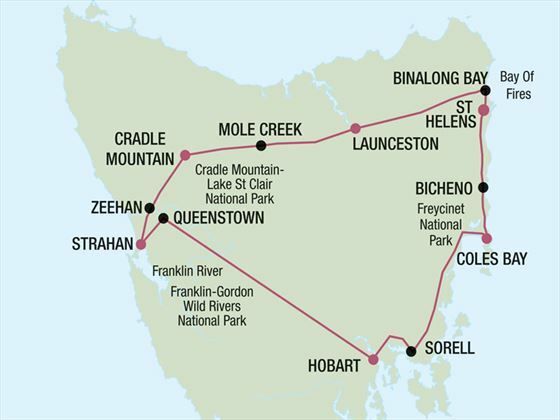 The morning of day 3 will be spent on an optional cruise along the Gordon River, before journeying north to Zeehan – an area which was once a booming mining town in the 1900s. 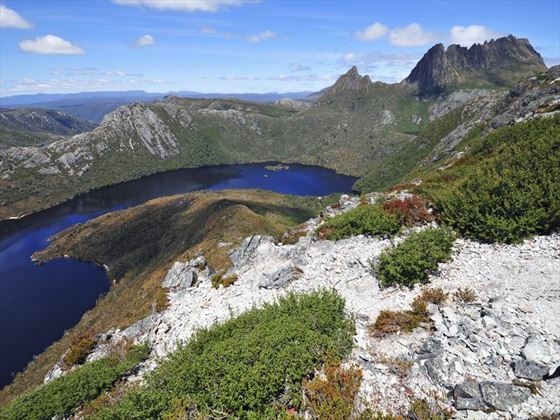 Soon you’ll arrive in Cradle Mountain National Park, a beautiful park with wonderful walking trails surrounding by soaring mountains and alpine lakes. The rest of day three and the whole of day four will be spent exploring the trails and discovering the spectacular scenery. Today you will travel east to Mole Creek, stopping at Marakoopa Cave along the way to marvel at its glow worm display. Afterwards, continue on to Launceston and spend the afternoon visiting the magnificent Cataract Falls. 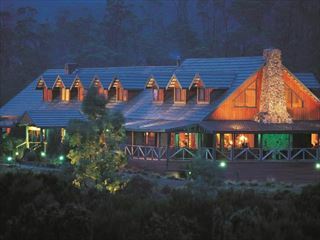 Leave Launceston and drive to Scottsdale. When you’re near Pyengana, stop off for a walk at St Columba Falls to pick up some delicious local cheese, before continuing east towards the quaint town of St Helens. Well known for its sumptuous crayfish, this small fishing port has plenty to keep you entertained, including The Gardens and the Bay of Fires Coastal Reserves near Binalong Bay. On day seven you’ll venture through the towns of Scamander and St Marys, before either stopping at Elephant Pass for a hearty helping of pancakes or taking the coastal road from Falmouth to Chain of Lagoons. 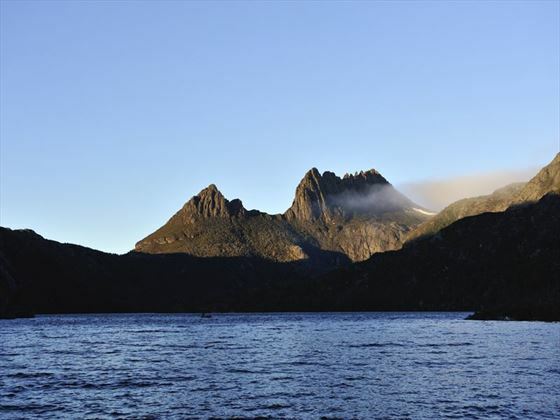 You’ll also visit the tiny town of Bicheno and drive south through Coles Bay to Freycinet National Park. 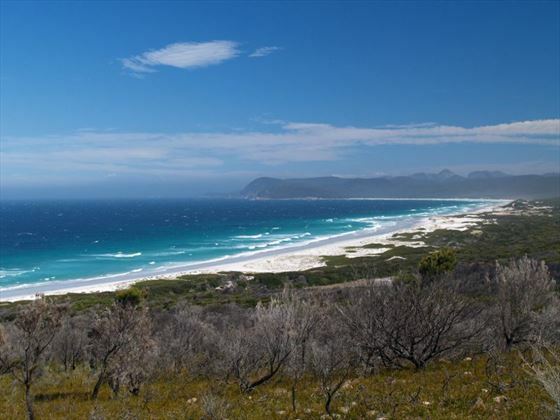 On day eight you’ll have the whole day to explore the area, spotting the elusive wildlife, wandering down winding walking trails, and sunbathing on gorgeous beaches, including Wineglass Bay. 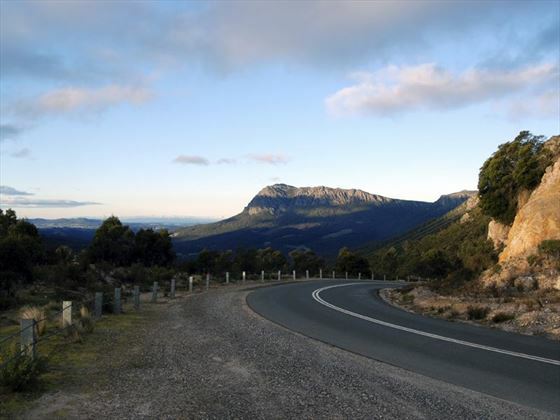 Depart Freycinet and stop off near Swansea to explore one of the local wineries or berry farms. 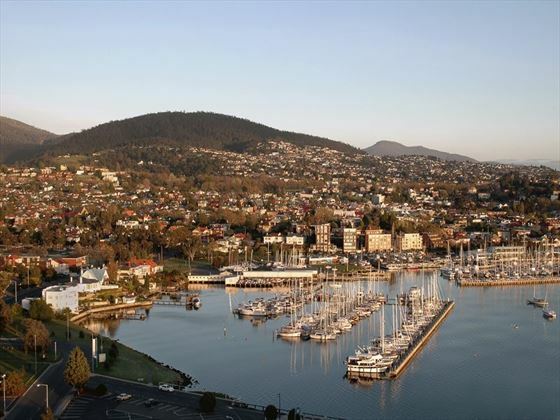 You’ll reach Hobart by crossing the Derwent River and joining on to the Tasman Highway. 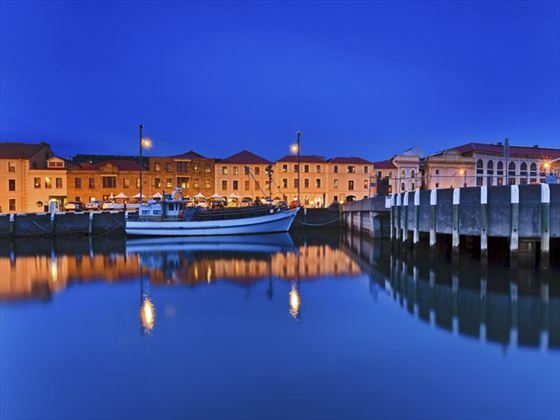 If you have some spare time, take a detour to the historic village of Richmond and discover more of Tasmania’s colonial past. Your car is booked until today, and will need to be dropped off at the city or airport by the same time as it was picked up on day one, or you will be given an extra charge.